What if we told you there was a great way to enjoy this delicious dip in meal form? This way, you wouldn’t have to feel guilty about eating it with a fork or spoon. 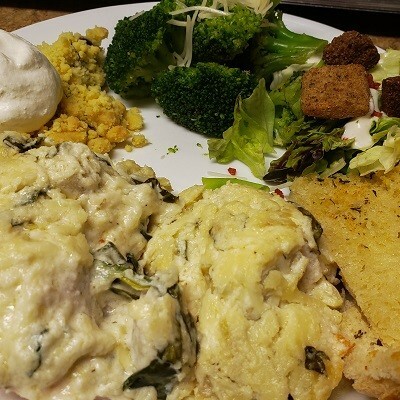 This Spinach and Artichoke Baked Chicken recipe gives you an excuse to do just that. Give it a try! If you’re a fan of the dip itself, you won’t be disappointed.